If there is a major leak, the first thing you should do is turn off the water supply to the home. There is a valve that is generally located under the kitchen sink (it is black and attached to flexible pipe). Turn this valve off. Then please email us with a detailed description of where the leak is and what the damage is (include photos if you can) and we will respond as soon as possible. 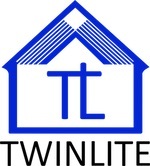 You can email us at support@twinlite.com, or send us a tweet @twinlitesupport - these channels are manned 9am-6pm Monday to Friday and our response time will be rapid. If the leak occurs out of regular hours, please follow the step above to turn off the water and call your landlord contact on the number he/she has provided to you. If the leak is minor (dripping from a tap, shower head or pipe), please still email or tweet us and we'll have maintenance take a look at it immediately.